Ahhh! I’m a little late because my site was down. No complaints from me, though, since I don’t pay for my webhosting. Yay for being frugal! Thats like 3 extra skins I can purchase a month.. ha! I absolutely LOVE this hair and totally want to wear mine like that in RL. 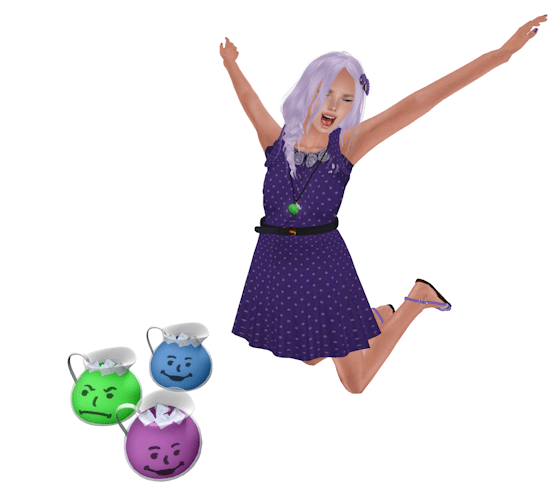 hair: wasabi pills – trish *new* @ the hair fair! Staaaaaaaaaaaaaaaaaaaaaaaaaaaaars! So cute. Most of this outfit is from the Twinkle Night Bazaar… the rest I just searched my inventory for. That rarely works! I was pleased that I found cute items that matched the outfit… to say the least. hair: lamb – our deal *new* at the hair fair! headband: pink ribbon – star headband *new* at the twinkle night bazaar! dress: honey kitty – twinkle tutu babydoll *new* at the twinkle night bazaar!